Click here to see a sampling of just some of the effects you can create! These are some of the (FREE) graphics that you'll need to create some of your effects. Lots more to come! Table of Contents Want to create some movie magic? Steve Grisetti, co-founder of our site and author of the many Muvipix.com Guides, shows you how to create professional-style special effects on an amateur's budget. 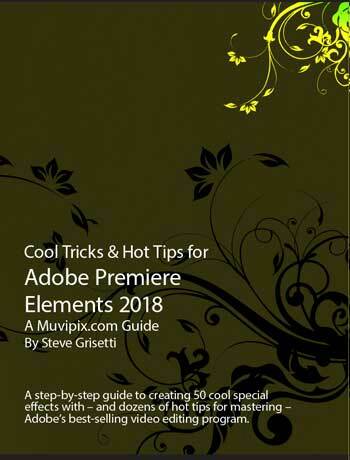 In a book peppered with dozens of Hot Tips for optimizing your Premiere Elements experience, we'll show you how to dig deep into Adobe's best-selling video editing program. Click the image on the left for the Table of Contents. "Sometimes you want to transition from one clip to another almost invisibly. It's then that a simple cut or subtle dissolve is in order. Blur a face, like they do on the TV show "COPS"